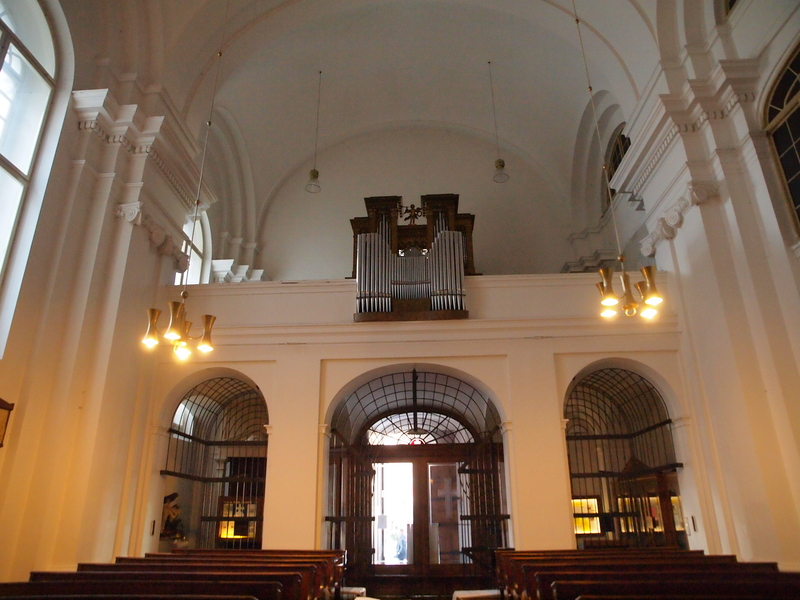 This Empire-style church with two columns and pilasters with Ionic capitals on its façade was built between 1817 and 1824 by the Order of the Piarists. After their work was finished, it was entrusted into the spiritual care of the Salesians of Don Bosco. Inside the church there is a life-sized photo of the Shroud of Turin, the cloth in which the body of Jesus was allegedly wrapped. Masses are also held in Italian. 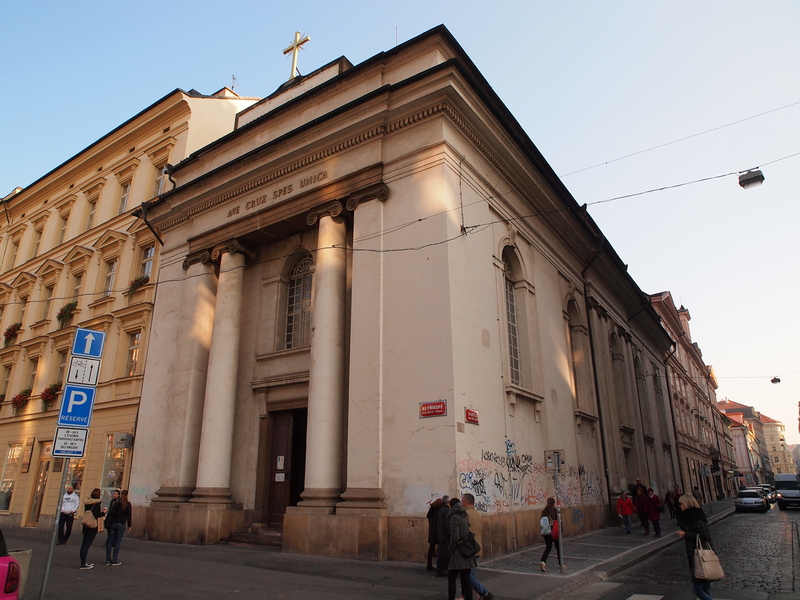 The history of the church is tied to the Order of Piarists, who came to Prague in 1752 and established a school on Celetná Street in the Old Town. As the school could soon no longer accommodate the rising number of students, the order purchased a piece of land on the corner of Na Příkopě that had burned during the Prussian wars. First a secondary school was built, and in 1819 – 1821 a church was constructed at the site. The church was not consecrated until 9 May 1824. 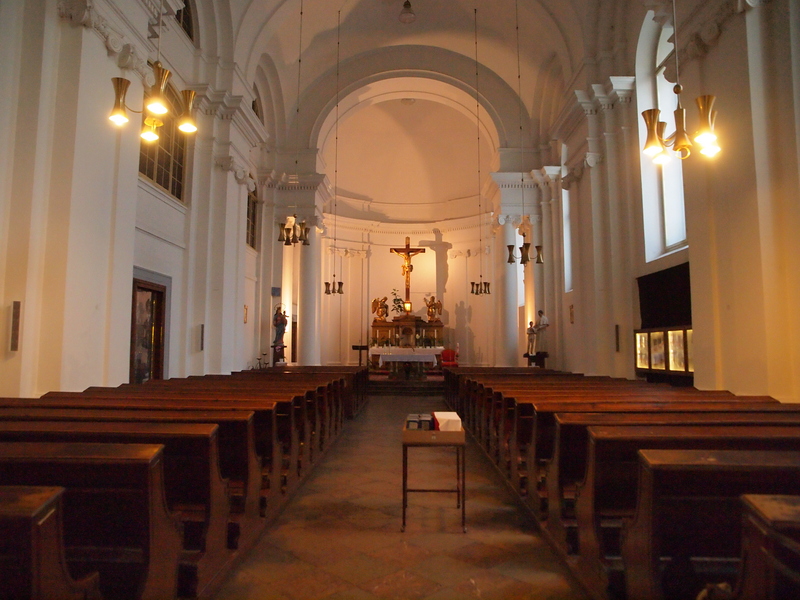 The single-nave rectangular church in the Classic Empire style was designed by architect Georg Fischer in cooperation with architect Heinrich Hausknecht. The stone work was executed by L. Kranner. The façade facing Na Příkopě Street is adorned with Ionic pilasters and massive columns. A large gilded cross rises up from the cornice. The purely Classic, sparsely decorated interior is simple and light. Ionic pilasters and columns are also located inside. 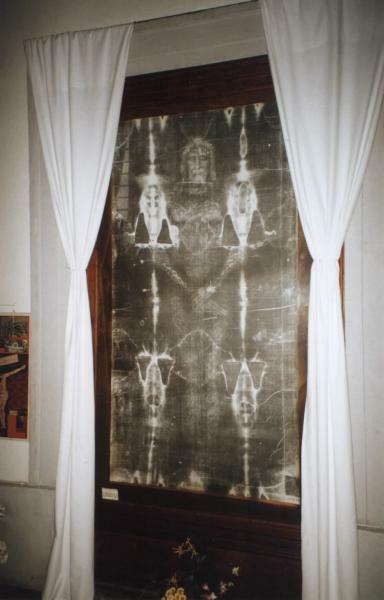 A life-size photograph of the Shroud of Turin, the cloth placed on Jesus after he was crucified, is also housed in the church. Well-known figures of Czech culture, including the poets Josef Jungmann and Karel Hynek Mácha, studied at the Piarist secondary school. The church belongs to the Roman Catholic Church. Services are also held in Italian.